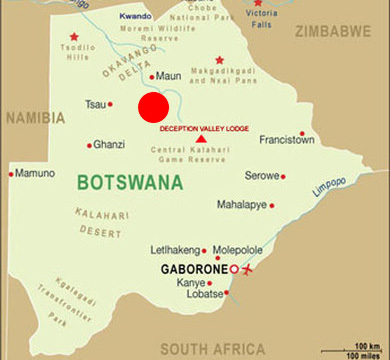 Our Botswana concession is 7000 hectares and lies in the central Kalahari. The central Kalahari is a vast and relatively untouched wilderness area giving our clients a true wild African experience. Healthy populations of lion, leopard and cheetah roam the area freely. Accommodation in the Kalahari is luxury tented camps.